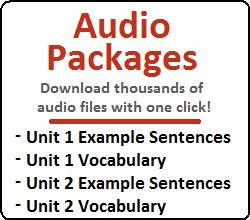 Click here for a Workbook to go along with this lesson. For help memorizing these words, try using our Memrise tool. 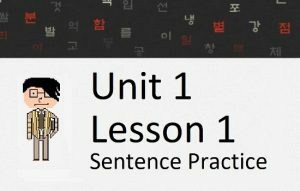 In this lesson, you will learn about the Korean grammatical principle ~도록, which has confused foreign learners of Korean for ages. I think the confusion with this grammatical principal stems from the fact that there are so many translations for the same Korean usage. I will break it all down for you step by step, so you have no reason to worry. Let’s get started. There are many ways that ~도록 can be translated to English. As is typical with Korean, knowing what translation to use in English depends on the situation in which ~도록 is used. Although the English translation might differ, the Korean usage of ~도록 is actually the same in all cases. 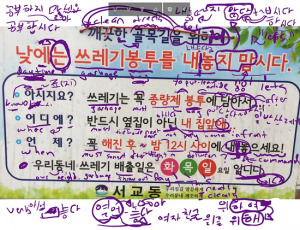 You might be tempted to separate the uses of ~도록 based on their English translations, but one of the goals of this lesson is to show that all of the sentences with ~도록 have a common theme: ~도록 causes some situation to occur. Depending on who is causing what, or what is causing whom, or who is causing whom, or what is causing what, the translation to English might be different. Here we go. Despite the differences in translation, try to notice the similarities with the sentences introduced in Translation 1 in the way that ~도록 is used. Again, the clause before ~도록 is being made to occur. How will it occur? Well, we don’t know that specifically, but we know that the speaker of the sentence will be taking care of it. In these sentences, the speaker is indicating that he will be sure to do the action attached to ~도록. It is also possible to apply this same idea to a command. Those commands are directed at somebody. However, it is also possible to refer to the fact that someone gave a command to someone else. This could be seen as another translation. Although there are no commands in these two sentences, you could see how the translation of “make” would work. Again, it doesn’t matter how we translate it to English. The clause attached to ~도록 is being made to happen. By looking at this sentence, we can see immediately how this usage fits the general usage of ~도록 that we have been referring to the entire lesson. The athlete made the action of “not being able to breathe” occur because he ran so much. Again, this action was made to occur. 군인들은 눈을 감고 총을 쏠 수 있도록 훈련을 받았다 = The soldiers trained to the extent that they could shoot guns with their eyes closed. The line above provides the metaphor that Korea will live forever, until “the East Sea is dry, and 백두산 is completely worn down” – both of which would never really happen. = We haven’t met in so long (to the extent that) three years have passed since we last met! That’s it for this lesson! 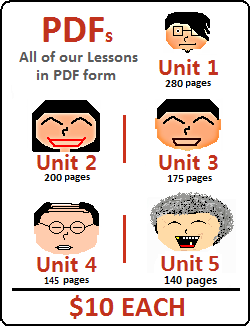 Click here for Korean Short Stories specifically tailored to learners at this level. Okay, got it! Take me to the next lesson!